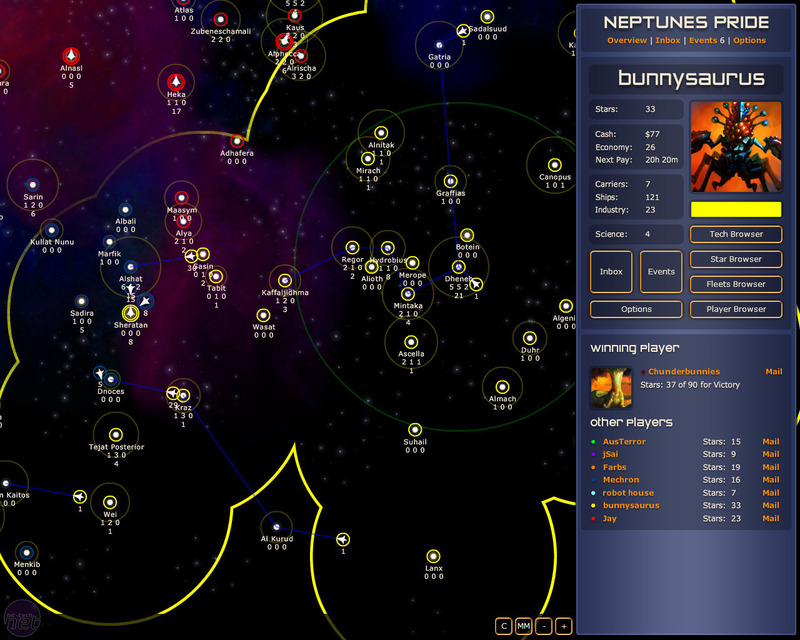 The fact that Neptune’s Pride is multiplayer and played over such a long period of time is what makes it so brilliant, and also - like I said at the start - horrible beyond measure. When me and a set of friends played Neptune’s Pride, we had one rule - in the game, you stay in character. Who that character is is up to the player, but all emails and communication inside Neptune’s came from the character, not the person. About a week into the game an email popped into my inbox that was CC’d to all participants in the game, detailing how one of the players was going on holiday for a week but didn’t want to drop out of the game. If we could just not attack him he would really appreciate it, in other words. YOU'LL NEVER TAKE ME ALIVE, YELLOW! This guy was one of our friends. We trusted him implicitly and didn’t want him throwing a tantrum over us ultimately killing him while he was AFK. “Sure,” we agreed, “we’ll leave you be.” He went on his holiday, not appearing online at all on the day he went; people redirected forces from his area to focus on more imminent threats, all was calm. He faked it all and his surprise, unprovoked attack crippled two players almost immediately. I was luckily on the other side of the galaxy, but it was a taste of things to come - no one could be trusted in or out of the game. For the whole month any chat we had outside of Neptune’s always felt like it had an agenda - people vying for information, gauging your motives. Playing Neptune’s Pride forces you to guard everything you say. It’s exhausting. Dawn raids were common too. 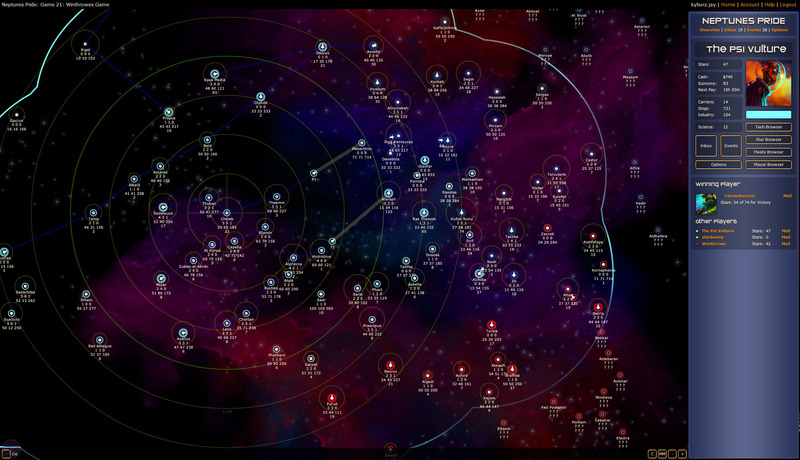 People setting alarm clocks for stupid o’clock to log in and launch an attack - if the person you’re attacking is asleep they can’t notice the fleet you’ve launched their way and then they have absolutely no time to re-enforce their systems. It’s underhand, devious and wonderfully effective. And it might seem ridiculous out of context - to take a free browser game so seriously - but Neptune’s has a strange way of escalating like that; bitter revenge is hard to pass up and you will go to any lengths to get it. We hit the middle of Jake's spelunk into the backlog.